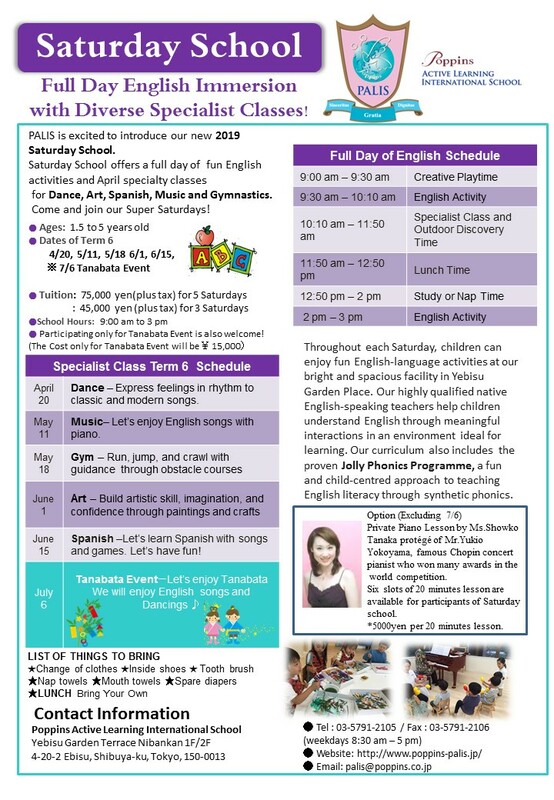 PALIS is excited to introduce Saturday school 6th term starting from April 2019! 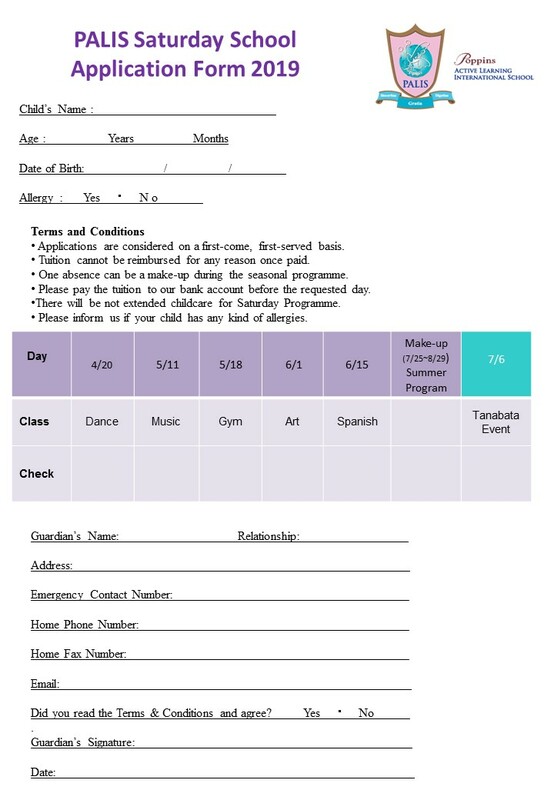 Saturday School offers a full day of fun English activities and diverse specialty classes for Dance, Art, Spanish, Music and Gymnastics. Come and join our Super Saturday!! Please see the the leaflet below for details.